Boots Pyrex Hedge Rose oval dinner plates x 3. They measure 12" x 9". They are in a good condition free of any chips or cracks and they have little or no utensil wear. Please note that I take full responsibility for any damage incurred in transit. Immediate payment required for buy now. Thank you. 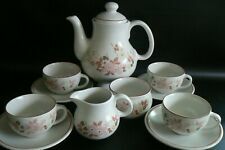 Teaset x 13 Piece. Boots Hedge Rose. 1 Milk Jug & 1 Sugar Bowl. Here we have three beautiful rare glass tumblers from Boots HEDGE ROSE Range. Pristine condition, bright and fresh colours, no signs of use whatsoever. 14cm tall x 6cm diameter at the rim. Boots Hedge Rose Slow Cooker SWAN Rare Fully Cleaned & Tested. Boots Hedge Rose Gravy/Sauce Pourer and Saucer. Bury Hospice serving the people of Bury, Radcliffe, Prestwich, Whitefield, Ramsbottom and Tottington. Bury Hospice Furniture Warehouse. Cash upon collection is also accepted. Lovely set of four placemats and coasters in the Hedge Rose design by boots - great condition minimal use. Boots 'Hedge Rose' 9" Flan Dish. Bury Hospice serving the people of Bury, Radcliffe, Prestwich, Whitefield, Ramsbottom and Tottington. Bury Hospice Furniture Warehouse. In summary Cash upon collection is also accepted. Boots Hedge Rose Four Tea Side Plates 7.5"
Lovely slow cooker made by Swan for Boots in the Hedge Rose design - used but still in perfect working order. Lovely fondue set in the Hedge Rose design by Boots - unused and boxed but box it tatty. Boots HEDGE ROSEBowls. Gravy / Sauce Boat. New listingA HEDGE ROSE TEAPOT DESIGNED FOR BOOTS. BOOTS HEDGE ROSE CUP AND SAUCERS INCLUDING MILK JUG. Hedge Rose. In the Hedge Rose design. 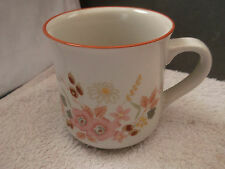 A lovely Boots pottery milk jug and sugar bowl in good condition. Milk Jug & Sugar Bowl. Sorry but I cannot accept foreign cheques/checks/money orders. as any problems can usually be sorted out amicably. Boots 'Hedge Rose' Milk Jug & Sugar Bowl. Bury Hospice serving the people of Bury, Radcliffe, Prestwich, Whitefield, Ramsbottom and Tottington. Bury Hospice Furniture Warehouse. You must take reasonable care to ensure the goods reach us in their original sale condition. Lovely lidded casserole dish / tureen in the Hedge Rose design by boots - excellent condition looks unused.